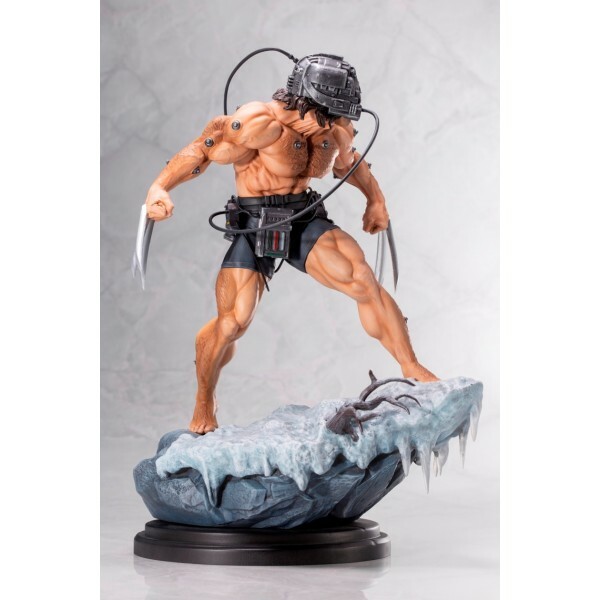 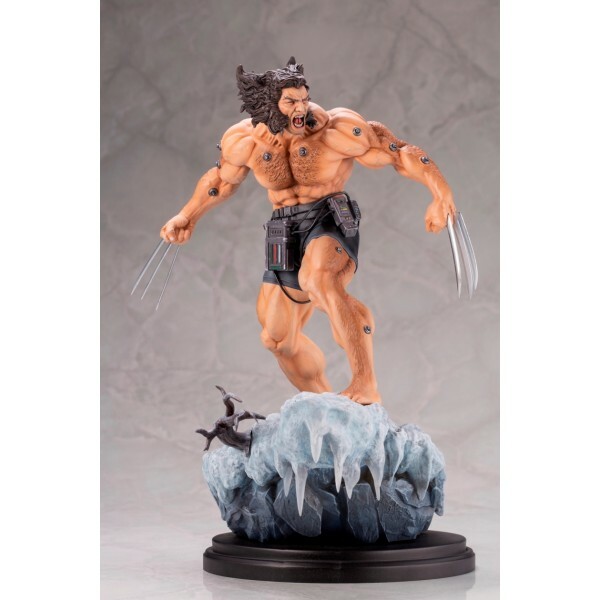 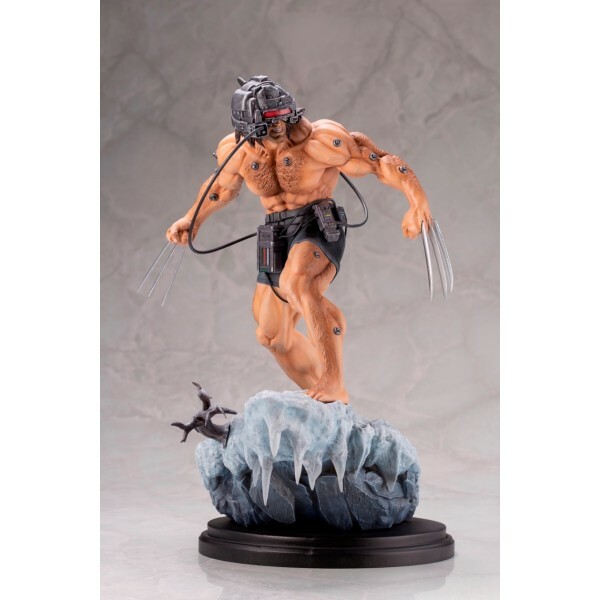 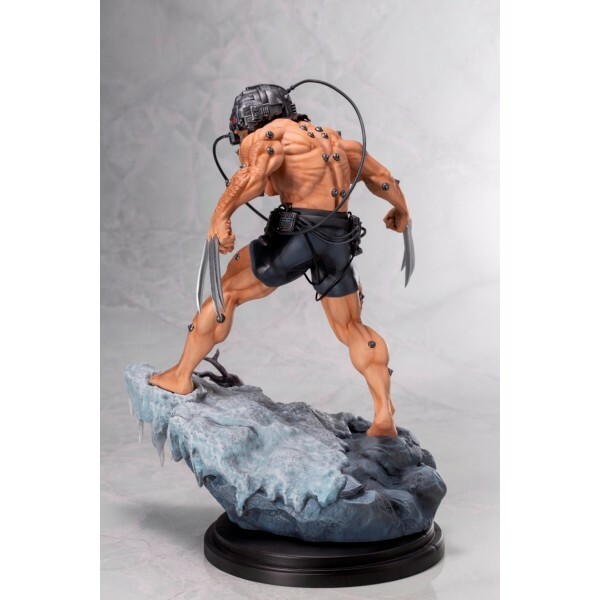 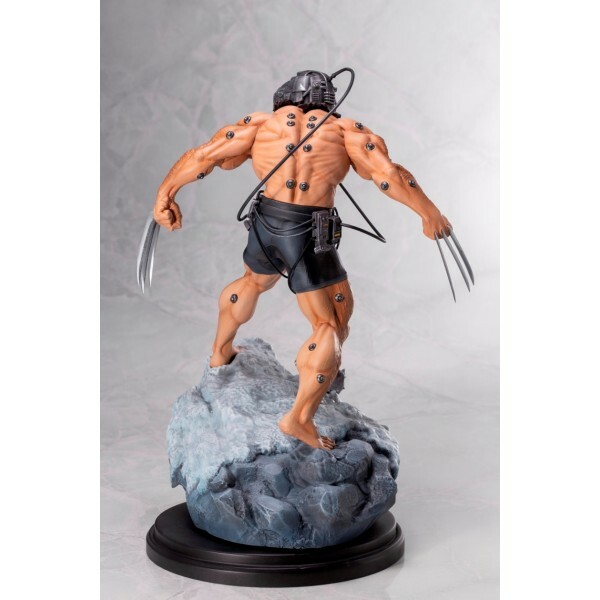 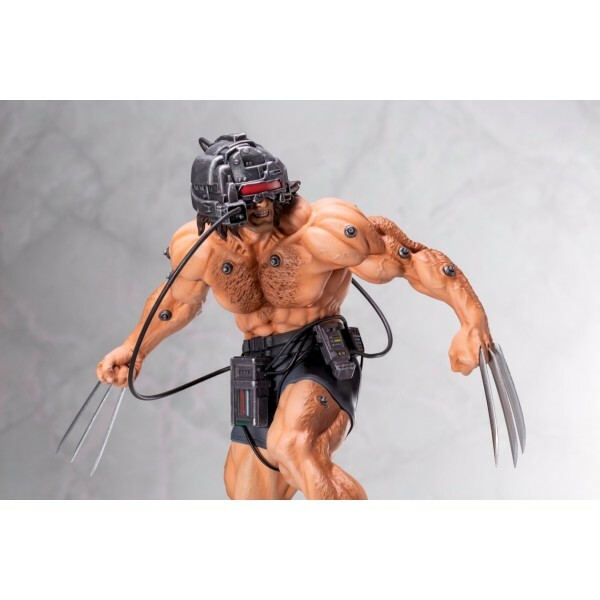 Sculpted by Erick Sosa, this finely crafted resin statue depicts a grieving Wolverine who has escaped from the research facility where he was subjected to Experiment X, a brutal experiment that involved bonding the mutant's skeleton with admantium and erasing his memories. The statue recreates the scene where the fugitive mutant is running down a snowy mountain road after his escape, which is considered to a crucial point in the character's storyline. 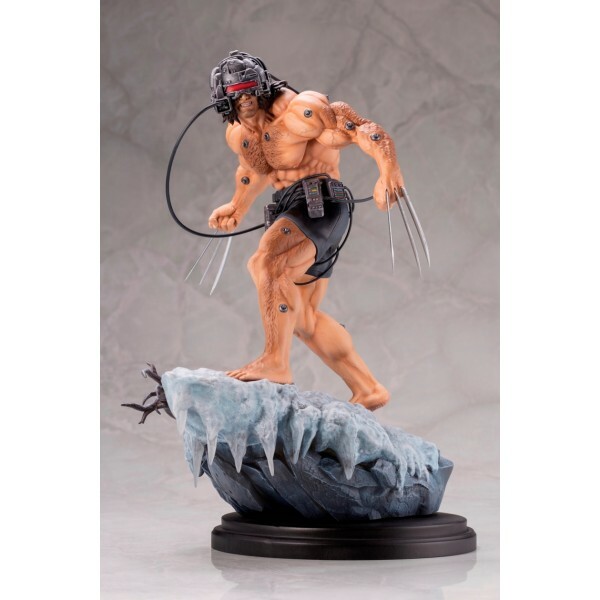 The diorama base is modeled after the harsh winter environment in the remote area of Alberta, Canada where Department K is located. 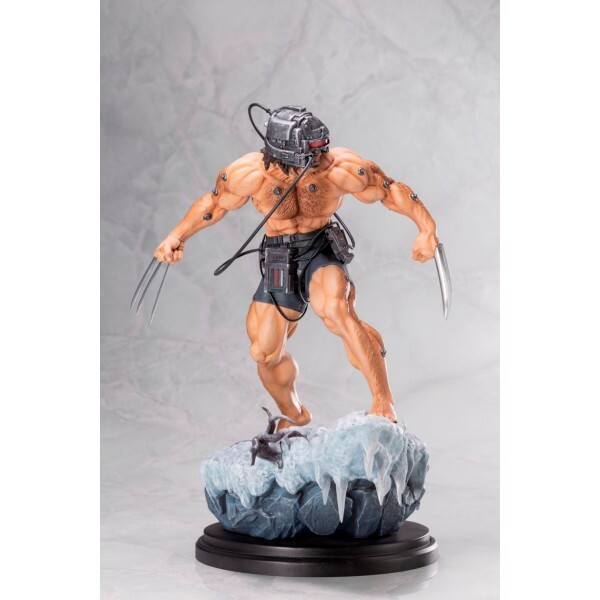 Although the motif of the statue differs from the statues of the - Danger Room Sessions - series, Weapon X still looks great displayed alongside the other X-Men Fine Art Statues.